In 2009, an old spring training stadium was revived as the Tampa Bay Rays moved to Port Charlotte from Al Lang Field in Tampa. Built in 1988, the Charlotte Sports Park was the spring training home of the Texas Rangers until 2001. The stadium sat empty after the Rangers moved their spring training operations to Arizona. 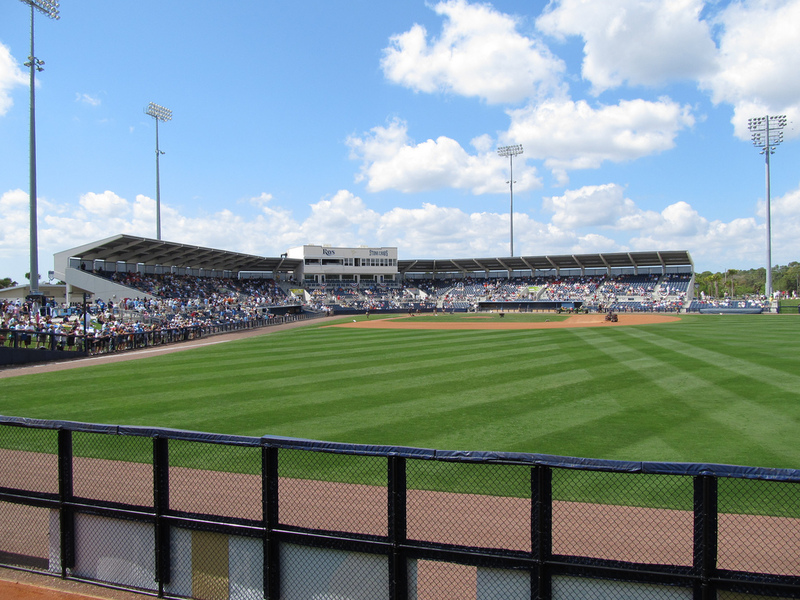 Over $27 million was spent renovating the stadium in order to bring it up to par as other Spring Training ballparks. Charlotte Sports Park features a wraparound berm in the leftfield corner, open-air concourses, a children’s play area team officials hope will become “autograph alley” and more than 1,500 on-site parking spots. With suites and group party areas, the overall capacity is about 6,800.